"Alchemy" sees Quinn re-team with legendary guitarist George Lynch (DOKKEN, LYNCH MOB, KXM) in a blistering up-tempo groove laden rocker. Previously, Quinn’s 2010 self-titled debut featured Lynch’s guitar work on 7 tracks and found notable success on both Amazon MP3 and iTunes sales charts and in the popular Harmonix video game, Rock Band. Quinn’s music career was sidelined in June 2015, shortly after her sophomore full length release Not in Vain, with an aggressive form of invasive ductal carcinoma at age 31. Having experienced chemotherapy, radiation, and surgery, "Alchemy" offers some lyrical insight into Quinn’s cancer battle with both the video and song serving as a “reclamation of life” for the rock songstress. 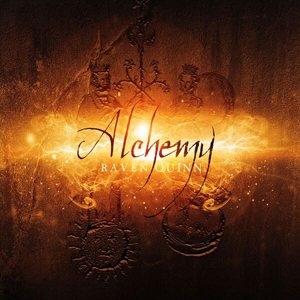 The music video for "Alchemy", directed by Karl Pfeiffer, sees Quinn supported by Lynch, Mark Pacificar /Bass (VERTICAL HORIZON), Cesar “El Vampiro” Lopez /Guitar (MANA, JAGUARES), Terry Stirling, Jr. / Drums (LIT, RUFIO). Famed PopsicleLA studios, known as “Batman’s garage” in Warner Bros’ Studios' The Dark Knight, serves as the location.